In the world of strength and conditioning, it seems like we are always looking for that new and innovative piece of equipment that is not only going to unlock our athletic potential, increase our fat burning capacity but it is going to breathe new life towards our training goals. Having these thoughts and seeking out something new is human nature, we all do it. I have a gym with a bunch of different, unique equipment that all provide alternative variations of traditional movements. While variety can be the spice of life, sometimes the classic basics can be overlooked and completely forgotten about. Medicine ball training is said to have been a form of strength and conditioning for the ancient gladiators and Persian wrestling athletes as far back as 1000 BC. Fast forward to today and we find the medicine balls demoted to cute little abdominal exercises that can be done in your living room or, even worse, retired as a dust collector going untouched for months on end unless your 2-year-old finds it and attempts to pick it up and play basketball. 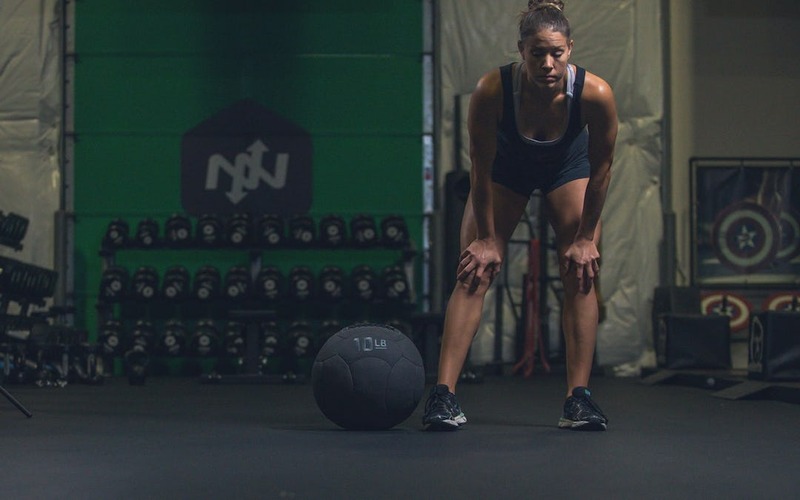 It is time to re-familiarize yourself with medicine ball training and bring this ancient form of exercise back into your training programs and watch your athletic prowess grow. In this article, I will go over the unique benefits of medicine ball training along with some of my favorite exercises. If you schlepped through junior year physics class, you might not remember much about Ampère’s Circuital Law, but you may remember Newton’s second law where Force=Mass x Acceleration. This law applies in the strength and conditioning world. However, the primary focus over the years has been to lift more weight (mass) to get stronger (produce more force); however, acceleration, an essential part of the equation, is often overlooked in training. If we look closer at this equation we can also increase force production by increasing the speed (acceleration) at which we move an object; training by moving weights faster, can make you stronger and more explosive and Medicine balls are an excellent way to train acceleration for increased force production. 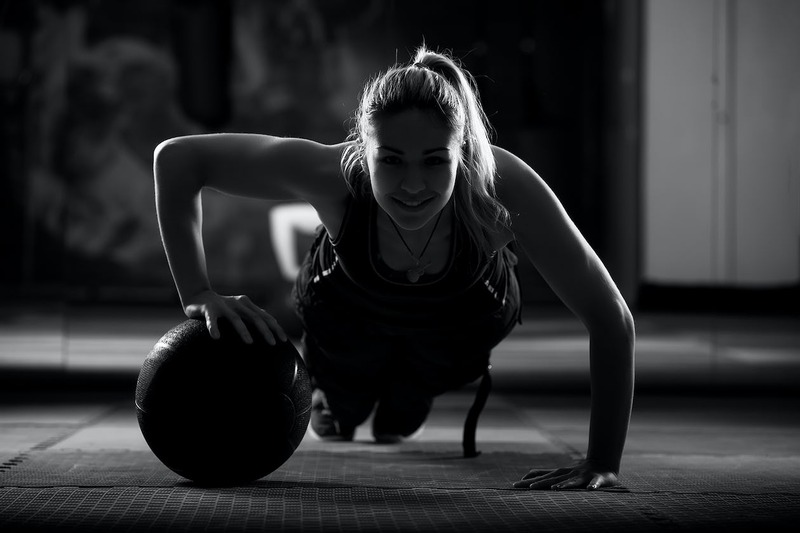 There is a freedom of movement with many dynamic medicine ball exercises that replicate the movement found in many sports that are not necessarily found in other strength training movements. The foundational movements like squats, deadlifts and bench press are great for building strength but are limited by their single plane of movement and ability to transfer power throughout the whole body. Not to say you should not build strength with those foundational lifts, but when combining them with medicine ball exercises, you are able to enhance your force production through acceleration training and incorporate the whole body through various planes of movement. You can project power through a ball in a frontal, sagittal and even a transverse plane depending on how you decide to move the ball. Training force production in different ways proves to be the best method for transferring over to sports performance. I am a huge proponent of preparing strength and conditioning programs that have lower risk exercises with higher rewards. My goal is to always have my athletes be safe and get the most effective training available. I have found medicine ball exercises to be the easiest and safest way to train power. For a young or new athlete, learning the kettlebell swing or even the more technically complex Olympic lifts requires a lot of technical ability. The young and/or inexperienced athlete doesn’t generally possess a great foundation of strength and therefore are potentially setting themselves up for an injury if they are not able to perform these dynamic movements properly. Medicine ball training has proved to show that these athletes are still able to make force production gains safely by accelerating light medicine balls quickly. With young athletes who are new to training, I am able to have them perform medicine ball training early in their training program where I usually wait a few weeks after some strength gain has been achieved, to teach a kettlebell swing. 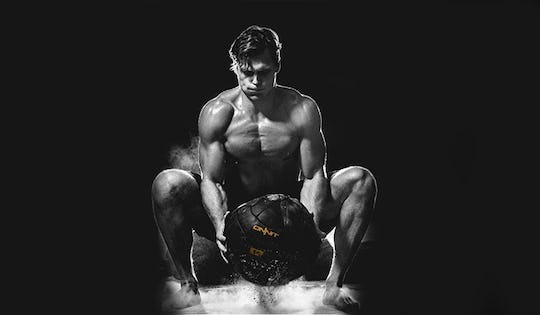 Medicine ball training is also very versatile and can be trained for pure power by using an appropriate weight for a particular amount of sets and repetitions, or they can be used for longer durations in a conditioning setting. You can implement medicine ball slams for 30-second intervals which will not only train power but also train strength endurance which is a necessary energy system essential in most sports. Lastly, I am hard pressed to find someone, young or old, who does not like tossing the medicine balls. When the athlete is having fun, they will feel good and focus more on what they are doing because it is more enjoyable to them. All of my athletes perform some type of medicine ball training either to enhance force production in a particular plane or to build their strength endurance. Generally speaking, if I want to work on power I have the athlete perform them for a particular amount of repetitions closer to the beginning of the workout, or if we want to focus on strength endurance, we throw them into a conditioning circuit for time intervals at the end of the workout. Remember the physics behind using medicine balls in your training. You want the acceleration to be high to produce maximal force. If either the weight is too heavy or proper form is not allowing the medicine ball to move quickly, your force production will be low along with your movement quality carry over to your sport. Using a training partner, a coach or a wall; set up in an athletic standing stance. Catch the ball with two hands, dip into a quarter squat and use the energy from your legs and to come back up and project through the ball with two hands evenly towards your training partner or wall. In the same athletic stance, you are going to receive the ball at waist level, catch the ball and rotate like a tennis swing. Make sure to rotate the knee as well, so it remains aligned with your foot. Drive back through with your hips and core and project the ball towards your training partner or wall. You can repeat on the same side or alternate sides. One of my favorite movements to teach explosive hip extension; turn your back towards your training partner or the direction you are going to project the ball, hold the ball underhanded, squat and scoop throw the ball over your head in an explosive manner transferring the energy through the hip and lastly through the ball. You can throw the ball for maximal height or distance depending on the trajectory you decide. This is one of the easiest power movements to learn, and it is fun to do as well. All you need is a light medicine ball that does not bounce or bounces only slightly. Get the ball overhead and drop your hips and follow through with your arms as if you are making a hole in the floor. Make sure to get the proper timing down, so the ball stays close to the body. This is an alternative to the standing chest pass; however, you will not have your legs to help out with the movement to generate power and force. Therefore the upper body will be producing the force. Lying on your back with either your legs down or knees bent; pull your belly button into the floor and either push the medicine ball off your chest toward your training partner or straight up for you to catch and repeat yourself. You want to be like a spring with no pause between the transition from the bottom towards the top. Adding these straightforward and efficient medicine ball exercises into your strength and conditioning program is sure to enhance your speed and force production making you a stronger athlete now go out there and make it happen. Would a wall really be a good substitute for a training partner for standing chest passes?